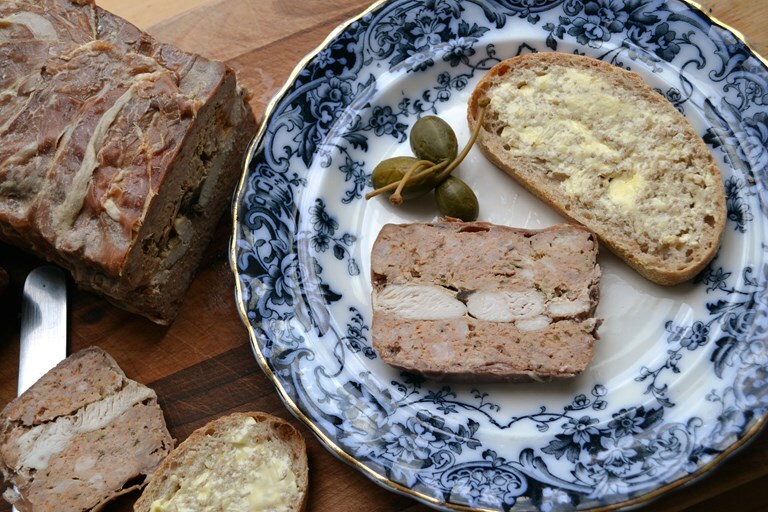 Danny's veal, pork and ham terrine recipe is a true work of art. 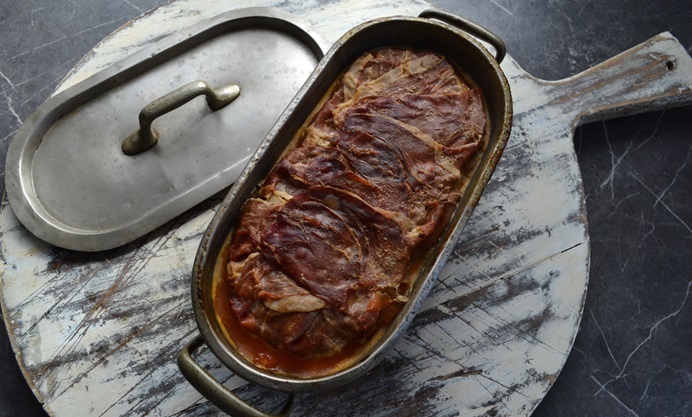 Two pork layers encase a veal centre, which is cooked in a rich sauce inspired by Swiss geschnetzeltes. 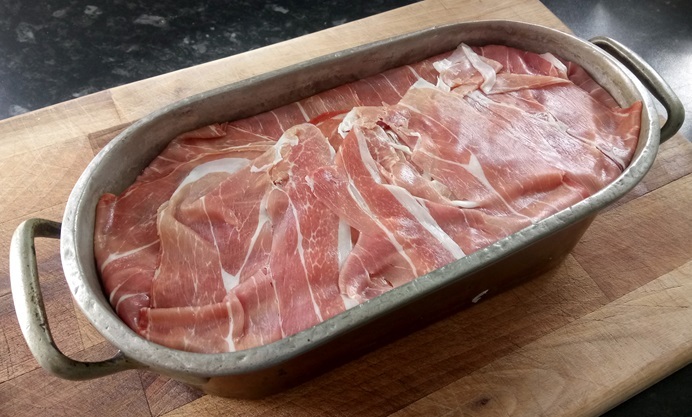 The terrine is wrapped in dry-cured ham and baked to perfection. A great dish for dinner parties or family feasts. This is great a recipe if you so happen to make too much geschnetzeltes or have some leftover. What is geschnetzeltes though? 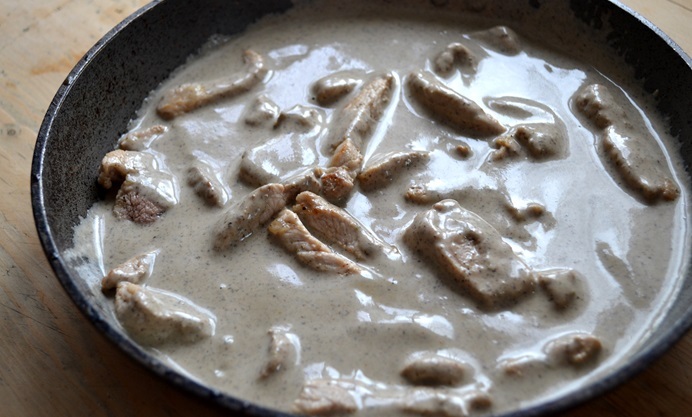 Well it is a Swiss-German speciality, that roughly translates as ‘sliced meat’ and is made with veal, cream, wine and mushrooms. Similar in some ways to a stroganoff, but without the paprika. 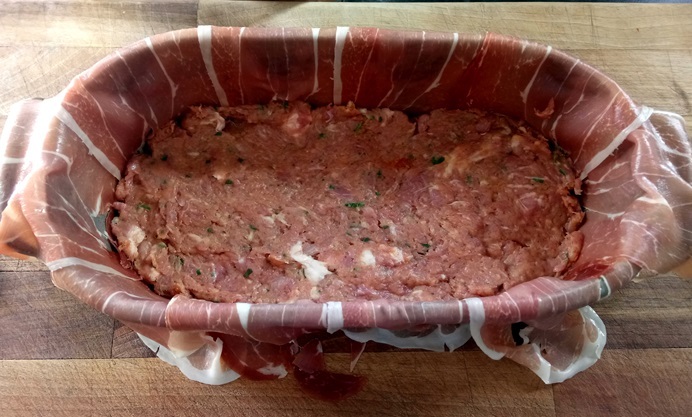 If you can't get hold of veal, use chicken breast to create that pale central section of this terrine.